When NIST first opened in 1992, it had already set its sights on the IB programme. One of the few truly international curricula in the world and highly rigorous, the IB perfectly suited the ideals of the young community. Since that time NIST students have gained a reputation for excellence in the IB exams, consistently posting scores well above the global average. The 87 members of the Class of 2014 were no exception, yet their remarkable results also mark the beginning of an expanded vision for NIST—one that will look beyond just a number to measure the accomplishments of students. All IB diploma students complete their final year of study by taking the externally evaluated IB exams. Like most other forms of standardized assessment, world averages remain relatively constant, hovering just under 30 out of a possible 45 points annually (with 24 being the passing mark). 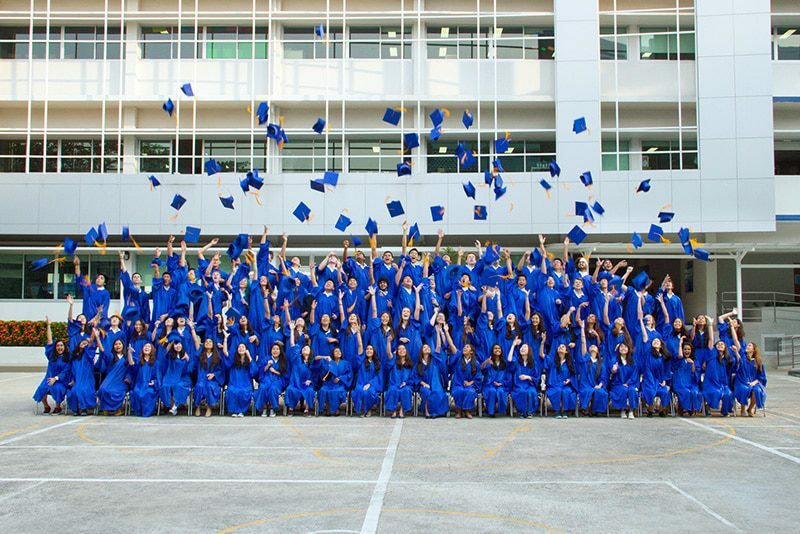 NIST students have surpassed that standard every year, earning an average of 33 to 35, and the 80 members of the newly graduated Class of 2014 who chose to pursue the diploma set a record with an average score of 36! 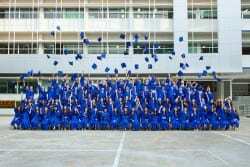 As far as it can be determined, no other school in Thailand has achieved such a high average score while enrolling nearly all students in their graduating class in the programme. Even more impressive was the fact that 41% of the NIST students received 38 or more points, and 28% received 40 or more—compared to the respective 9% and 5% worldwide who earned those same scores. Additionally, out of only 146 students around the globe who earned perfect scores of 45, two were from NIST: Amillee Srethbhakdi and Priyanka Sukumaran. Highlighting the well-rounded nature of their abilities, nearly half the graduating class earned bilingual diplomas. Despite the impressive accomplishments of the students in the exams, however, NIST is now striving to ignite further growth in its educational programmes, focusing on other ways to offer students unique learning opportunities that will enable them to distinguish themselves on the global stage. As universities and employers have increasingly acknowledged, a number cannot convey passion, sociability or persistence, nor can it tell them what differentiates one applicant from another. In line with this goal, members of the incoming Class of 2015 will be the first to earn the Global Citizen Diploma (GCD). 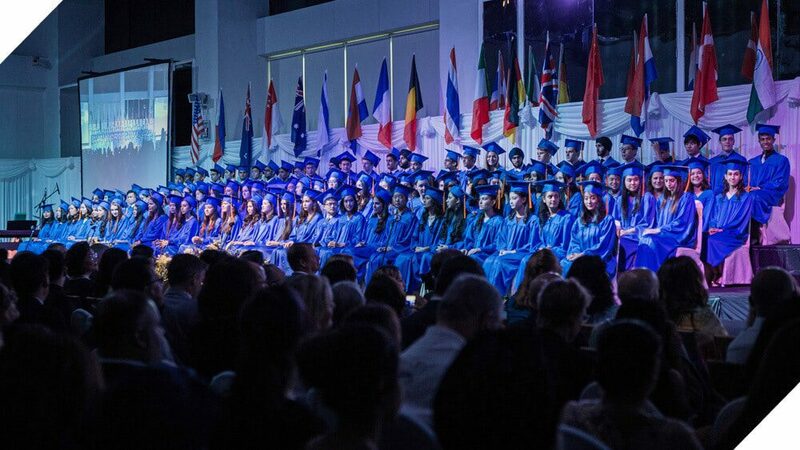 A joint venture by NIST, Yokohama International School in Japan and Zurich International School in Switzerland, the GCD is an optional qualification that parallels the IB diploma and enables students to maintain a record of their accomplishments in a range of areas. From social activism and entrepreneurism to musical composition and graphic design, each endeavor is reflected upon by students and assessed by teachers, weaving personal narratives. Upon applying to universities, NIST students will be able to provide portfolios that tell their unique stories far beyond what a number can convey, highlighting their strengths and demonstrating personal growth. A student who earned an average 30 on the IB exam could reveal exceptional leadership abilities by reflecting on the creation of a community service group. Another with an average record in language classes could turn it into a strength by writing about time spent volunteering as a translator. In short, they will stand out from other applicants. While NIST’s focus on academic excellence will continue, the GCD will play an integral role in the community’s emerging vision and is set to position the school as a leader in the evolution of education in the 21st century. More than ever, education must look beyond exams to nurture global citizens who are reflective, principled and balanced. NIST’s students will continue to excel in the IB exams, but they—and the school—will be able to share even more about their accomplishments in the future.